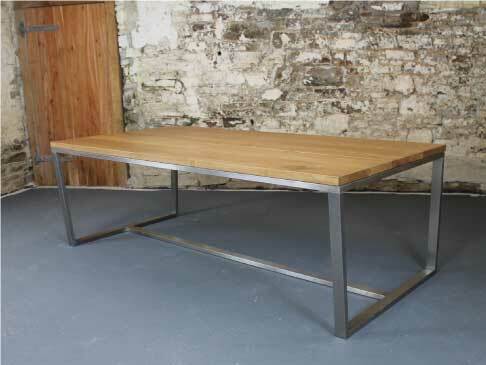 An Abacus industrial dining table will be an exciting, beautiful and highly functional focal point of your home. 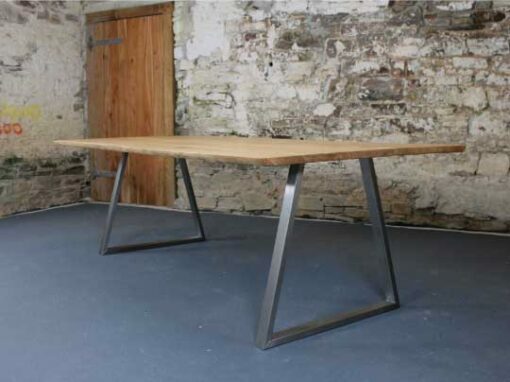 Hand-built to the exact size, shape and style you want, this is a table that will make a breathtaking and highly functional centre-piece in your dining room or kitchen. 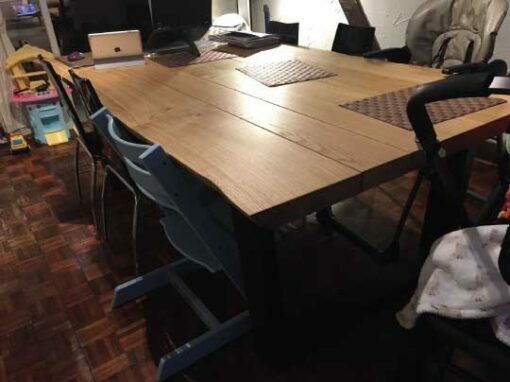 And because Abacus tables are engineered from the strongest and most beautiful materials, it will take everything you can throw at it. 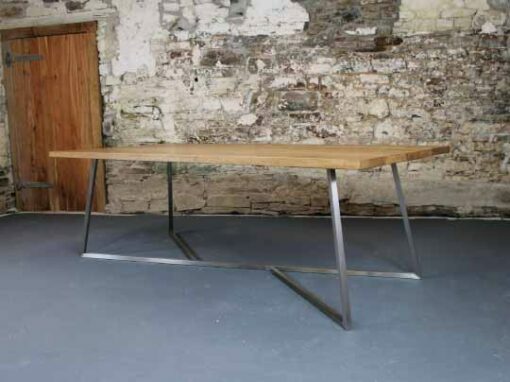 Select your Abacus industrial style dining table from a range of our engineered designs. 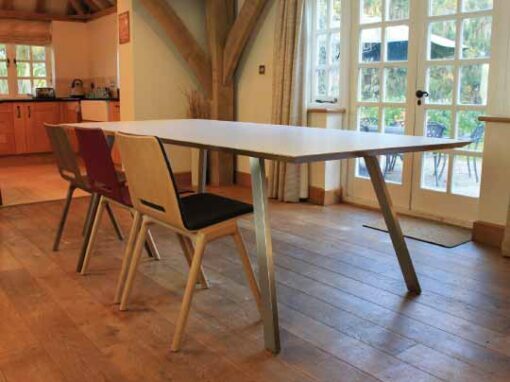 Each of our table styles is precision finished to the highest quality. Choose a hand-brushed high-grade stainless steel or from our huge colour palette of durable matt or gloss powered coated finishes. But for something extra special, you can have a perfect match to your room with a custom powder coated base in any RAL colour. 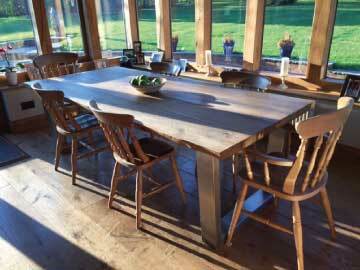 Tailor your table top to fit the style of your room and the way you want to use the table. 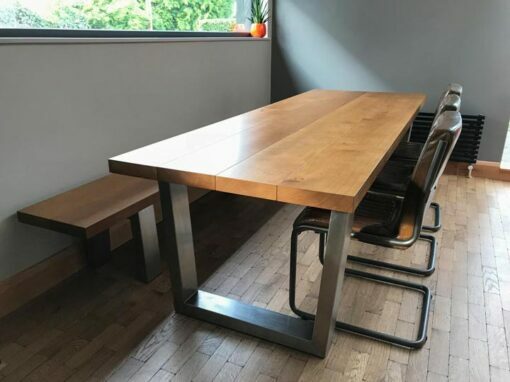 For a more rustic industrial dining table, choose a beautiful natural table top made from premium quality oak and finished in one of our carefully selected low-maintenance protective finishes. 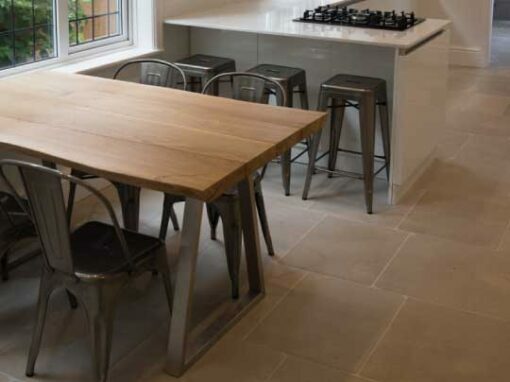 Or for a highly durable contemporary style, we have an advanced technical table top surface that comes in a huge array of stunning matt and gloss finishes, textured or smooth to give you the exact feel you’re looking for. 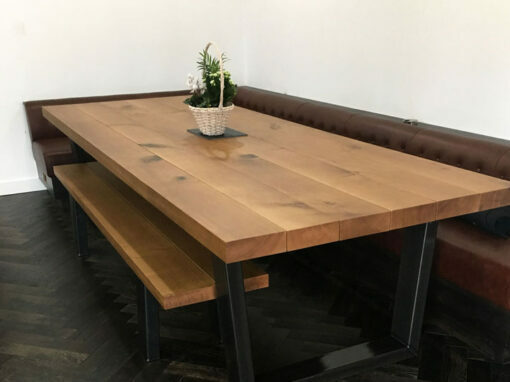 With your table style and top chosen, you can put the finishing touch to your industrial ding table by choosing the edge profile to suit your personal taste. 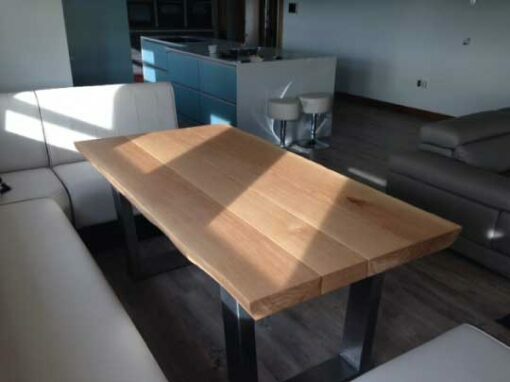 An authentic natural live edge, taken from the edge of the tree and hand-finished back to a smooth surface, so tactile you won’t be able to stop touching it. 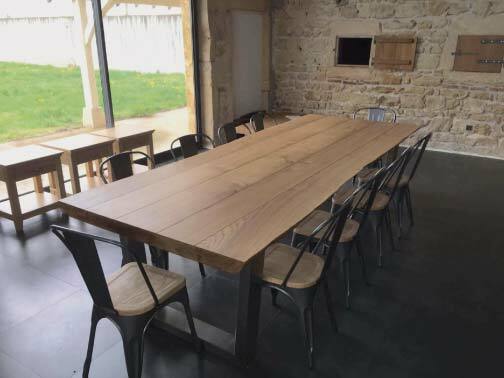 Our traditional straight-edge table tops are hand-finished in a centuries old style, which you can modernise with a smooth radius corner design Finally the Abacus Knife Edge has a steep precision engineered angle that gives a cutting-edge table top profile.